Home / Uncategorized / WSOBP XI Top Team Predictions – The Countdown is On! Let’s begin with our bubble teams who might just end up cracking the Top 16 at The WSOBP. This group of bubblers includes a squad from Hong Kong with a player who won every Satellite Asia had to offer, potentially the best female squad on the planet, some home-town heroes and maybe a few guys you’ve yet to hear of! Teams 11-16 have a bit more familiar faces and plenty of WSOBP experience. There are multiple previous World Series of Beer Pong champions, countless tournament victories and a bit more international flavor; this time from just north of the boarder. Don’t see your name here and think you got snubbed? Let us know who your money’s on and don’t forget to check-in with us everyday, as we’ll be counting down the days to The World Series of Beer Pong XI with our Top 10 team predictions! 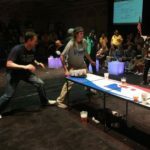 What happens when two-time World Series of Beer Pong Champion Mike Popielarski (Pop) plays without his partner in crime Ron Hamilton as Smashing Time? Well, he doesn’t win the World Series of Beer Pong. However, this year Pop has made an outstanding pick-up by acquiring Brandon Clarke (BC) out of New Jersey after bailing on Smashing Time. 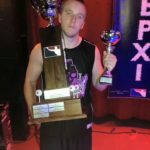 Clarke, coming fresh off of a performance at The Best of the Midwest that earned him a 10v10 Main Event title and MVP honors, should not lack any confidence when stepping up to the table in Vegas. However, not being nearly as experienced as Pop could cause this team to have a few hiccups. If BC can keep his composure on pong’s biggest stage and these two can get on the same page early, look out for history to potentially be made, literally. We have “History in the Making” in our 10 slot, but as good ole’ Rudy T said “never underestimate the heart of a champion” and you happen to have 2 on this 2-man squad. 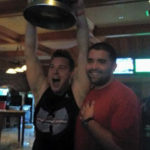 Don’t be blown away if Pop becomes the first player in WSOBP history to win The World Series of Beer Pong 3-times, as well as, the first player to win it on separate occasions with different partners. 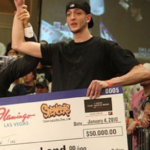 Dane Ellis is arguably one of the top 5 players of all time without a World Series of Beer Pong Championship. He is one of the primary contributors as to why there are now bid restrictions for most Satellite Tournaments. 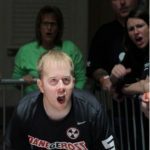 Dane made his name through playing his pong out of Michigan (though has since relocated) and is no stranger to the Top 16 at The WSOBP (or prediction lists). However, The World Series of Beer Pong XI seemed like it wasn’t in the cards for Dane until a partnership with a new hero out of Michigan, who just so happens to be a homeless boy that lives out his days under a cardboard box when he’s not on the pong table, evidently was enticing enough for Dane to make a late entry into the tournament. Brandon Juracek is a player who is bound to explode in a major way in a big-time tournament. He was 1 bid win shy from leading the country this year and is regarded as a consensus top player out of the Midwest. He is not only an incredible talent but is also one of the nicest human beings you’ll ever meet. If you’ve been lucky enough to acquire his friendship and compete against him, you’ll understand just how scary this team is. Team Wet Back Wasted (WBW) returns as the pride of the South after coming off of a final table appearance at The World Series of Beer Pong X. Heavily regarded as the best team out of the South, David Talamantez and James Alanis look to top last year’s performance with a WSOBP Championship. However, historically, the runners up of the previous year’s WSOBP have not made the same kind of run the following year. (No team has ever made it back to the final table after finishing 2nd, period. This is not just in consecutive years. If you’ve lost in The WSOBP finals, you have NOT been back to the Final table with the same or even a different partner.) Considering this and how tough it is to live up to and follow through with a Championship or bust mind-set, WBW slips a few spots down on our list. (A legitimate championship or bust mind-set because you had lost in the finals the year before and there is no place else to go from there; not an irrational expectancy from a young and/or delusional team.) However, if there is a tandem that can pull off something that has never been done before, it is these two. The WSOBP X Finals were perhaps the highest combined shooting percentage outputs in the history of the game. If you are lucky (or unlucky) enough to get matched up against WBW, you’ll find out why very quickly. 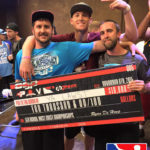 Team “Ya Lawst,” Ryan Smith and Justin Spurrier, comes in as a clear-cut favorite after slaying Blitzkrieg in the Finals of the 5th Annual West Coast Championships back in November. That win could play just as big of a part in their potential success at this year’s World Series of Beer Pong as it could ultimately play in their demise. A win on that level instills a confidence within your mindset that cannot be artificially placed. Thus, giving them the advantage of knowing they’re capable of beating (and being) one of the best teams on the planet on any given day. However, with a big-time win comes big-time notoriety and accompanied by that big-time notoriety is a gigantic target on your back. Every single team that steps up to the table against these two is now going to know whom they are playing against; meaning, they are going to get every single teams’ best game. If “Ya Lawst” loses to essentially anyone it could be argued that it was an upset. With that amount of respect headed into The World Series of Beer Pong, these two better be ready to play from Day 1. If they are, watch out! A $50,000 novelty check would compliment their newly acquired $10,000 novelty check quite nicely. This pick might not sit well with some because neither Donnie Jones nor Eric Lewis have ever competed in The World Series of Beer Pong and are getting an elite 8 nod; however, not without good reason. The Michigan Splash Brothers are lucky enough to play some of the most consistent pong in the country. With various places to play throughout every week of the year these two get up more shots than most will even have the opportunity to. Outside of the local scene the Splash Brothers have made more then just an impact on the outcome of every Satellite and cash tournament of substantial value throughout the Midwest over the past couple of years. The Grey Mamba is a silky smooth cup killer and could probably finish Top 10 in singles with either hand. (I’m sure he’ll be accepting of all off-hand cash games.) Eric Lewis has one of the meanest leans in the game and is fresh off of a 2nd place singles finish at BOMW. He also has multiple 4-figure tournament wins that stretch across multiple states, including a big win just 2 weeks ago with Donnie at the 1st Annual Midwest Summer Shootout for $3,000. The Splash Brothers may technically be WSOBP rookies but there are few who have been better prepared heading into their first series. Look for these two to play deep into Day 3 and really solidify their names among the best players on the planet. Blitzkrieg is a tandem that needs no introduction. The combined pong earnings these two have accumulated over the years are enough to make you woozy. 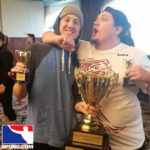 There are very few things that Marx and Kessler have yet to accomplish within their pong careers; however, there are still a couple of outstanding wins that the duo could add to their resume. One such win would include the end all-be-all of pong victories; a World Series of Beer Pong Championship. A world title has eluded both players while playing with one other, as well as, when accompanied by different partners. Though, these two have dedicated themselves to playing with one another in most major events over the past few years and to say the least, it’s worked out very nicely for them. However, the closest they’ve come to the Mecca is a 2nd place finish at The World Series of Beer Pong IX after dropping the Final Series to Jurassic Pong. Quite honestly, to place Blitzkrieg atop this list would be somewhat of a cop out, as you could make an argument for both players as being the #1 individual player on the planet. They are seemingly in the finals of every tournament they enter into (though, they have been beaten on that final table more often than not in their more recent tournaments.) However, as mentioned earlier in this countdown, history is not on their side as there has NEVER been a team that has lost in The WSOBP Finals and made a return trip back to the final table. This is most definitely not because the 2nd place teams have not been talented enough to make a return to the finals but more so because of the vast array of talent at The WSOBP. To fight your way through 3-500+ teams on more than one occasion does not statistically favor any one single team. Blitzkrieg, without a doubt, will make a deep run but they will more than likely become just another statistic. If they run into one of the teams on this list during Day 3, get ready for some fireworks because their exit won’t come without dramatics. (They’ll likely go down in barrel of flames trying to hit a two rack like an adult.) Though, if they are lucky enough to have the brackets play somewhat in their favor, it’ll be about damn time they take home the $50,000 Grand Prize. Don’t take “#5” too literally. This is the best team (on paper) that will be in attendance. TNT is the second team on this list with a recent final table win over our #5 team, Blitzkrieg. 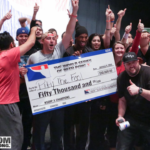 This time the tournament was held on the opposite side of the country at the East Coast Beer Pong Classic in Atlantic City, New Jersey. Revered as one of the toughest tournaments on the planet, Sven and Kings found themselves in a position to take home a formidable championship and capitalized on that opportunity. Kingsbury, having a World Series of Beer Pong final table appearance himself, had still walked up to the table as an underdog but prevailed with the aid of sniper like shooting from his partner in crime, The Hooded Assassin, Sven Anderson. This championship, complimented by Kingsbury leading the planet in bid wins this season, is reason enough to pull TNT into our number 4 spot. However, as mentioned on multiple occasions within this countdown, there has NEVER been a player return to The WSOBP final table after being on the losing end of it. I’d like to say that with the number of teams playing who are favored to potentially take home the check, who have already been so close to doing it before; a return trip to the final table for a past WSOBP final table runner-up will come to fruition this year. However, that’s not how the numbers stack up year in and year out. The numbers never seem to lose. In conclusion, as noted on other team profiles, don’t be too surprised if TNT drops a bomb on that statistic and completely obliterates it by taking home the $50,000 check! Very literally this team is absolutely terrifying. If there were to be a Mount Rushmore of pong players, Ross would without a doubt be on it. 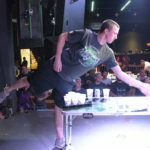 He has won just about everything there is to win thus far in the first decade of professional beer pong. At one point in time, if Ross were registered for any tournament in the country, you could pretty much chalk up the first place prize to whomever he was playing with. Brent Saale may not have a World Championship under his belt just yet but he could very well add one to his mantle in just a few days. 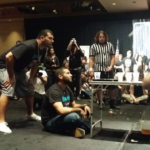 A 2v2 World Championship anyhow; Saale comes into play as the reigning World Series of Beer Pong Singles Champion. Brent also recently led an extremely young and undermanned 10v10 STL’s Finest squad to a Finals appearance at The Best of the Midwest VI. 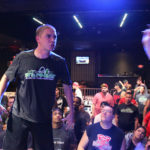 He accomplished this without the familiar faces (including Ross and former WSOBP Champion, Nick Syrigos) that built the 10v10 STL’s Finest dynasty that had won 4 straight BOMW Main Events. Saale & Hampton are going to board their flight with plenty of prize money. The only question is just how much they’ll leave with and if they’ll need to use some of those earnings to check an extra bag at the airport that happens to be a giant $50,000 novelty check. The reigning World Series of Beer Pong Champions come into this year’s tournament as a team primed to repeat. Being two of the most seasoned players on the planet, don’t expect the hype, pressure or the anticipated 20+ million views that this year’s WSOBP will draw to shake this squad. Regardless, if they are playing for $50,000 in front of a world-wide audience or for Malort shots in the comfort of their own homes, Pity the Fool will not lack any confidence on the table. Look for Fraser and Vit to make a serious run at becoming just the second team in the history of The World Series of Beer Pong to go back-to-back. Consider this more than just a little bit of extra motivation for these two. Being able to yank the sole claim of that monumental accomplishment away from their cohorts “Smashing Time” would be nearly as satisfying to these guys as the financial compensation they’ll receive for the win. This pick may come as a shock to most, and some may not even recognize the names, not because they don’t deserve the recognition but because all they do is get to work and sometimes get overlooked because of it. However, now I suppose everyone will know who they are watching when you are staring at a guy with the most badass mullet you’ve ever f*****g seen as he is smashing cups deep into Day 3, because Mike Gramer and Ryan Rossell come to play! “Boom Goes the Dynamite” is a team built for a championship. These two are true teammates and have been loyal to one another in almost every major tournament they’ve ever competed in. In each of those tournaments, BGD was so close to a championship they could smell the cash. 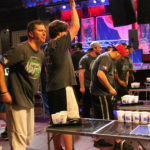 The chemistry this team possesses is difficult to match and all veteran pong players know the extreme importance of being on the same page as your partner. No team that has found themselves atop any predictions list has ever pulled off the big win, but this is not your standard cop out pick. 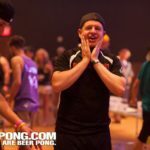 Each year, The World Series of Beer Pong Champion comes as a surprise and just how surprising would it be if the team predicted to win the whole thing actually comes out on top; to us, not that surprising. 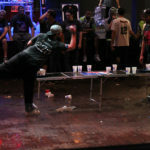 Good luck to all of the competitors at this year’s World Series of Beer Pong! Previous post: Take your beer pong game to the next level!